You are here: HomenextMain SubjectsnextPeoplenextWHERE ARE THEY NOW ? 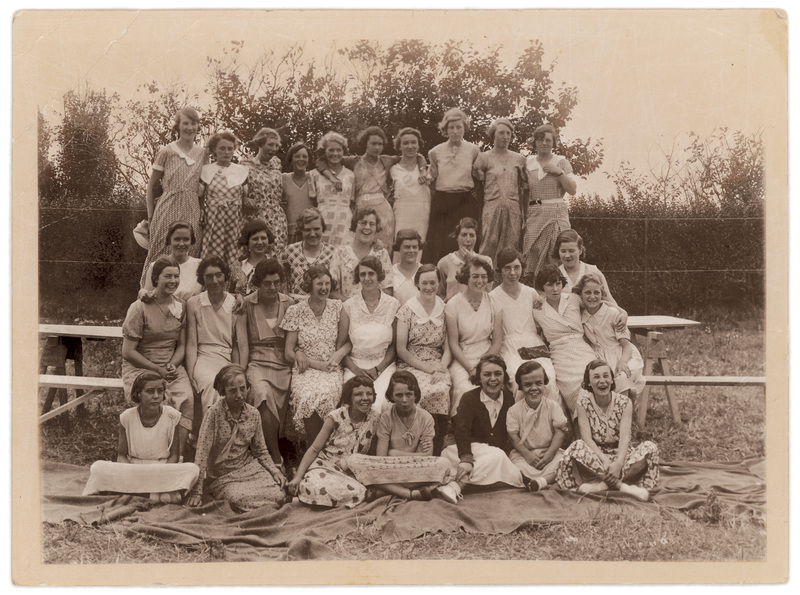 Are you able to recognise anyone in this splendid happy photograph taken about 1935? The 1st Hadleigh Girls Life Brigade was attached to what was then the Hadleigh Congregational Church (now United Reform) in Church Road. 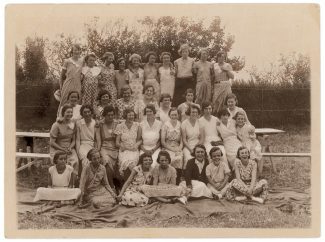 The young lady who can be seen at the left end of the third row back is the late Pearl Jones. At the time of the photo she was still Pearl Choppen, aged about 15. The photo was found recently amongst Pearl`s effects and the only information we have about the occasion was neatly written on the back. It is interesting that no-one is in uniform. The summery dresses may indicate this was a special event at which uniform was not required, perhaps an outing? Such a splendid, happy picture of 34 smiling young Hadleigh women deserves a story. Perhaps you can add a name or two. May be you can remember someone telling you about the brigade and its activities. The archive would be very grateful for any additional information. Just fill in the comment form below and click on “send comment”.